The Roman Anglican: England's St. George's Flag: an Italian job. What is the most recognised symbol of Englishness today? It is probably the simple and yet beautiful flag of Saint George, a red cross on a white shield, a theme used since the late Middle Ages in various flags throughout Europe, including Florence or the banner of the risen Christ in much Christian iconography between the 13th and 16th centuries. 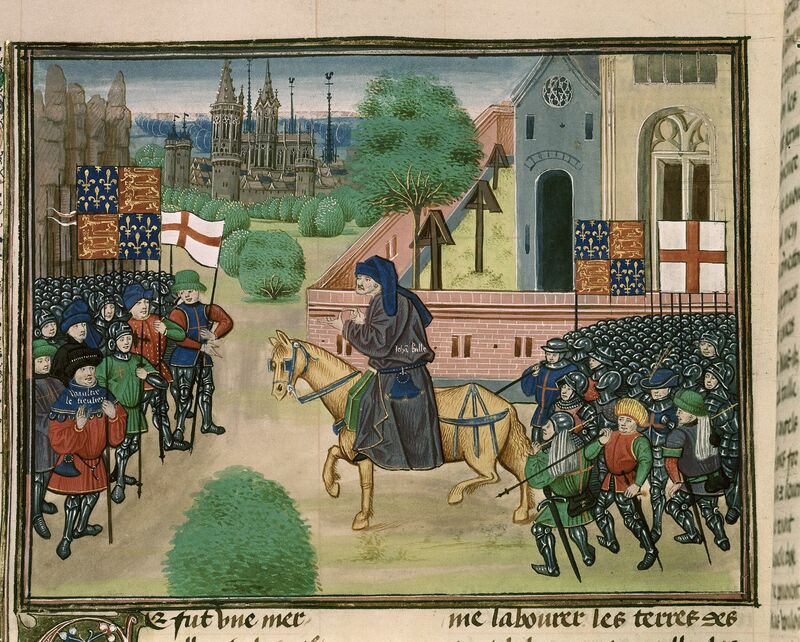 What is the story of the use of Saint George's Cross in England? 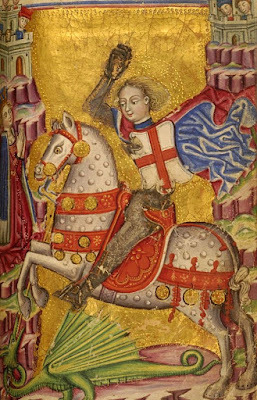 In 1188, according to various 13th century chroniclers, Henry II of England and Philip II of France agreed to go on a crusade to Jerusalem, it was agreed that the two kings would wear respectively a white and a red cross, later, according to a Victorian tradition Richard the Lionheart adopted both the flag and the patron saint of Genoa for his crusade. Also, in the late 13th century, during the reign of Edward I, red crosses seemed to have been already used to distinguish English soldiers - documents also prove that the king in 1277 made an extensive order of cloth for the production of several Saint George banners. 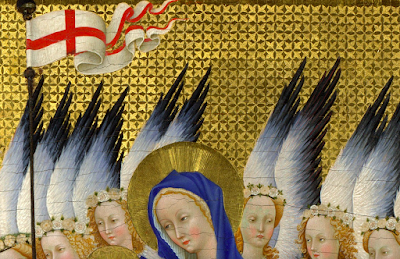 By the 1300s the banner was eventually used as a royal standard. Of course, Saint George had become a popular saint during the crusades as a warrior saint, as opposed to the national saint of England, Saint Edward the Confessor, known for his good heart. 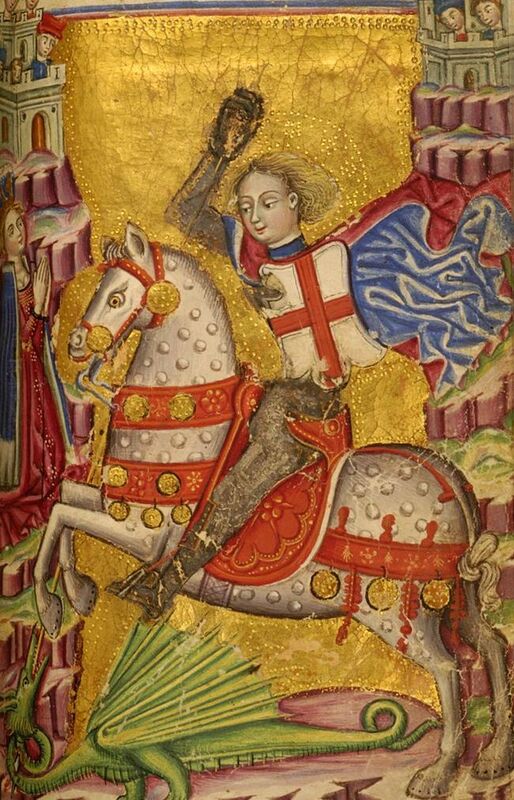 Edward III made Saint George even more popular by using his flag for the Order of the Garter in the 1300s. Finally, King Henry VII commissioned John Cabot to sail to Newfoundland under our flags, banners and ensigns. That was the first use of George's banner in the Royal Navy. 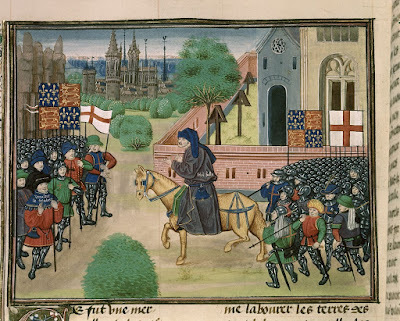 Before the Reformation, England's patron saint was Saint Edward the Confessor with Saint George's Day being considered a "double major feast" since 1415, but later, despite the king saint still being honoured, especially given his royal role, Saint George rose to a primary position when the cult of saints was altered, this also appears in the revised Book of Common Prayer of 1552. The use of Saint George's flag became widespread during the late Tudor era. But what's the Italian connection? As remarked by the Duke of Kent in 1992: the St. George's flag, a red cross on a white field, was adopted by England and the City of London in 1190 for their ships entering the Mediterranean to benefit from the protection of the Genoese fleet. The English Monarch paid an annual tribute to the Doge of Genoa for this privilege. 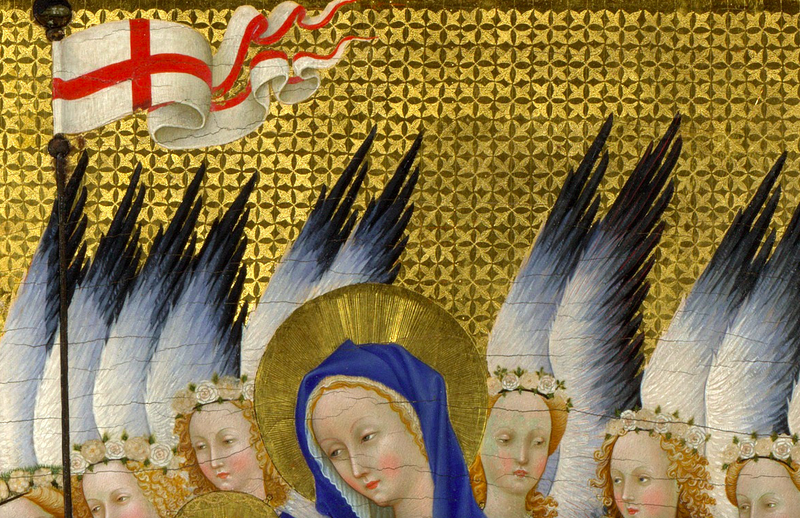 At the time Genoa, was along with Venice the most powerful naval force in the world and using its flag and protection was a warranty of making a safe trip without being bothered by Saracen pirates or other enemies. 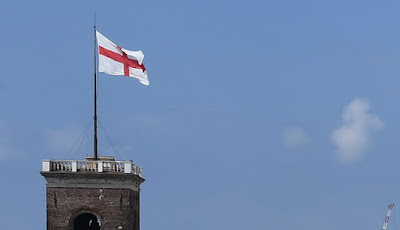 A few days ago, the mayor of Genoa, during a fundraising campaign for the Comune decided to ask for help directly to the Queen, 247 years of unpaid debts of the British Crown for not paying rent for their flag! His words: your Majesty, I regret to inform you that from my books it looks like you didn't pay for the last 247 years. Quite a clever marketing operation, though I believe that since Napoleon put an end to the Republic of Genoa, later occupied by the Savoy state of Italy, he has lost any right to claim those funds, but nonetheless, what a fascinating story!